little proud, can you tell? >MMM..that food looks good. Looks like you need to adjust the white balance a tad but still a great shot. Love the action of the soccer one too. Great colors!! >I love the soccer shot. To me the food shot is just a bit too warm. Maybe playing with your colors will help it some. Just a thought! >Great job in that action shot…love how you didn’t cut off any limbs or anything.ON the food pic…hmmm…maybe a WB issue? The color just looks really warm. Do you have PS? You could try taking out some of the yellow or red hues, but…it does not look too distracting because the food looks amazing! >The dinner spread looks great. My only suggestion would of been to of gotten up on chair so you could focus on the table and cut the people out. Nice action shot too! >Sorry – I’m no help on the first one, seems a little pink/red though. On the soccer shot – fantastic! I love it, great job – total action 🙂 Just a wonderful capture. >On the food picture maybe try removing a little red. It seems to have a red cast. I usually think I know but am not sure until I go in a try it though. Also I would suggest maybe use the straighten tool and straighten it a bit so it doesn’t look like the food might slide off of the table.I love the action shot!!! Awesome!! 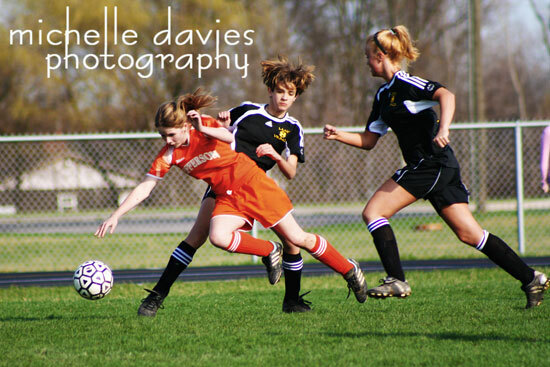 >Awsome action shot of the soccer game! Love the colors against the green grass. >Dang, that is an impressive soccer shot. You really got the action on that one. We are still a month out or more from playing games.I like the food shot, too. >Dang, Michelle! That soccer shot is AWESOME! I’m SO terrible at action shots, but you’ve NAILED this one!!! Good work!The first one is quite colorful, and what a feast!!! To me, I think the white balance might be off or something. Maybe try to pull out a little red or yellow or a combo.? >great stop action in the sports shot. 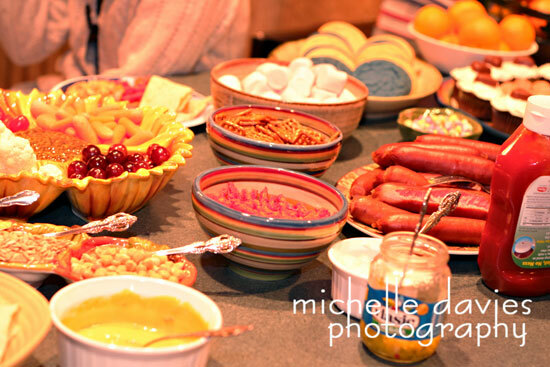 I agree with everyone else on the food shot… nothing more to add! !